1 Shirley Reeves 2 Janice Kiss 3 Susan Stammers. 1 Philip Burling 2 Ian Cribb 3 Ian Willsmer 4 Richard Harwood 5 Michael Elliott 6 ? Shipp 7 Craig Brown. 1 Errol Cause 2 Ian Bacon (sometimes known as John) 3 Stephen Branston 4 John Vickery 5 Paul Lake 6 Brian Reeves 7 Mark Deeks 8 Michael Bridge. 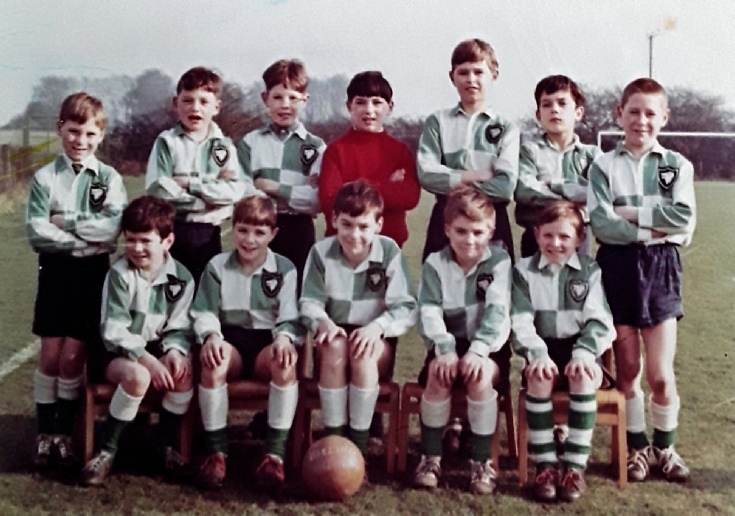 This appeared on our old website under Barling Photographs from The Past 5 - the tenth photo, and the rest of the names have been supplied by Sue (Deeks) Potter. 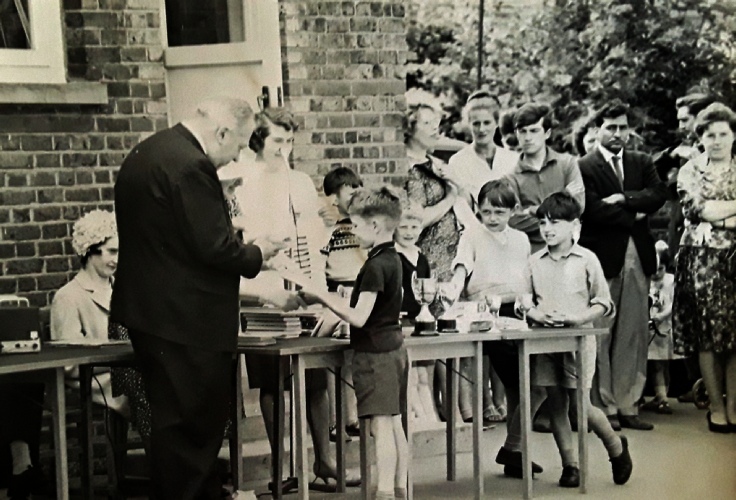 The picture was taken in 1968 (as far as I'm aware in July), in the rear playground, during the annual prize giving ceremony. The people I can identify from the picture are: Adam Learmond (headmaster) who is presenting me with a certificate for perfect attendance. Seated to his left is Miss Bentall (school governor), standing at the end of the table is David Cribb and (to his right) John Wyatt. 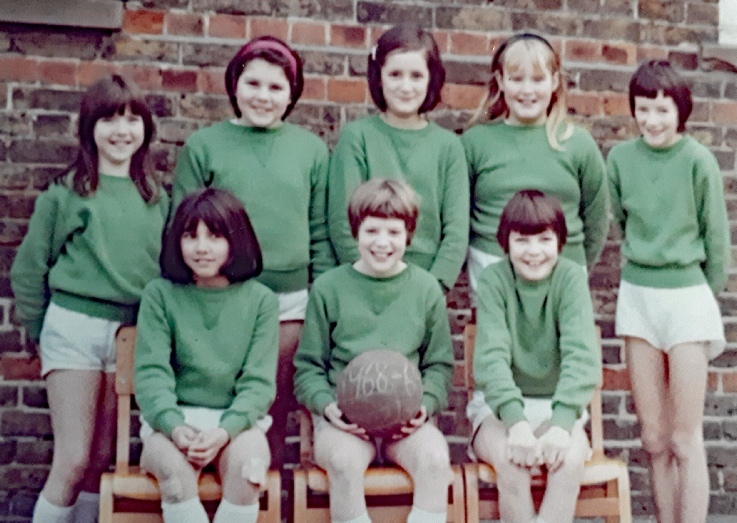 In the background is Mr Metha (teacher, dark jacket, standing with arms folded) and the lady wearing the white blouse (slightly behind and to his right) is another teacher, Mrs Blank. Unfortunately I am unable to identify anyone else with any certainty. Our fellow member, Neil Punnett, has identified two other people in the above photo, namely the lady to the right of Mr Learmond as being his late mother, Barbara Punnett, who was school secretary. 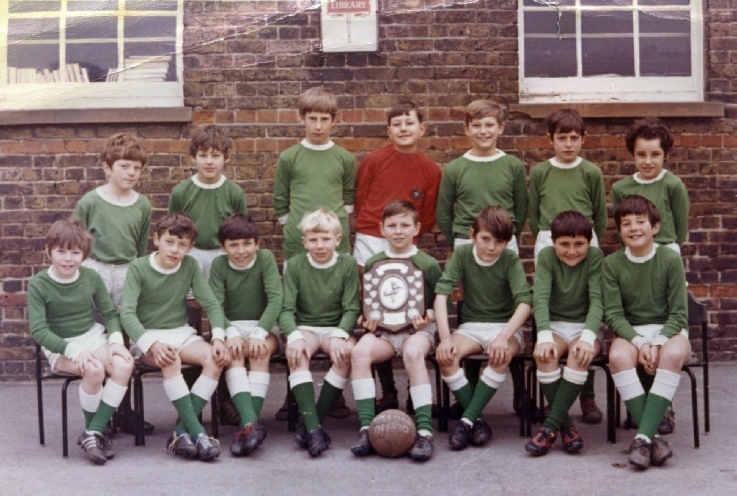 Also, to the left of Mr Mehta with his arms folded is his late brother, Laurie Punnett.